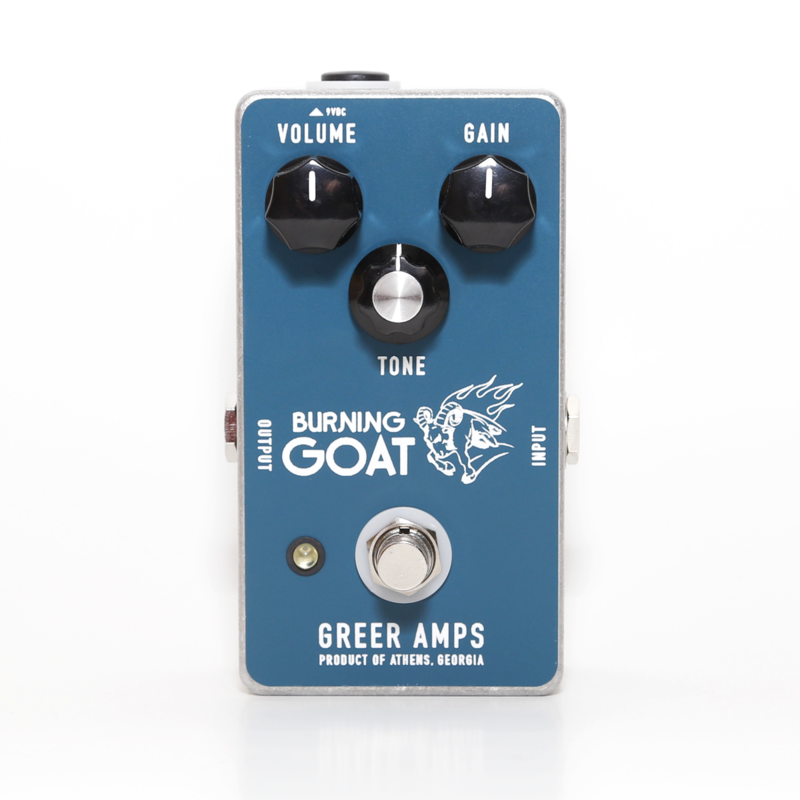 With the Burning Goat, Greer set out to make a mild overdrive that could be used in a variety of different situations. Not a 'TS' style pedal. Set low for a pleasant boost or higher for a nice, creamy drive. Again, not a 'Screamer'. Push the tone knob and the treble frequencies start to drive a little bit, as well with a touch more gain. Again, not a 'Screamer'. This is different. This is good. This is the Burning Goat.